An adventure lasting 5 days from December 3rd, 2016 to December 8th, 2016. Hawaii is a dream vacation destination for many people and it is easy to see why. This trip was a bit spur of the moment, and all the more magical because of that. We wanted to escape the cold Alaska winters, and also wanted to celebrate Luis’ promotion. Thanks to a great deal with the Alaska Airlines legendary Companion Pass, we decided on Honolulu. Hawaii is comprised of 8 major islands, but for our trip we decided to visit the most populous. 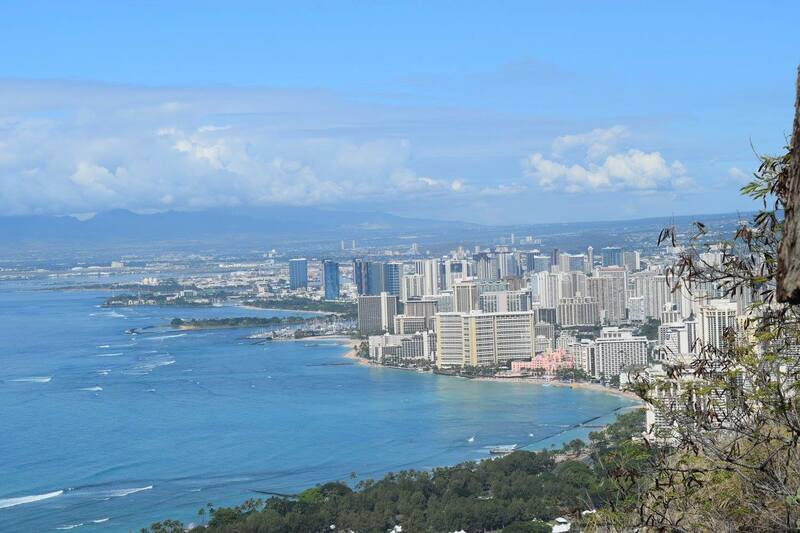 Oahu is the third largest island in the chain, and is home to Pearl Harbor, Honolulu, and Waikiki. We booked an ocean view room at the Vive Hotel in Waikiki for the duration of our stay. We also decided to rent a car to explore the island. Most of this trip was unplanned, although we did purchase the Go Oahu card. This card provided free or discounted admission to a number of attractions on the island. We knew for a fact we wanted to visit the Polynesian Cultural Center, Hanauma Bay, and Pearl Harbor. All three of these were included in the Go Oahu Card, including the luau at the Polynesian Cultural Center. We also had the unexpected pleasure of being in Honolulu for SantaCon. This typically happens on the first Saturday in December and involves a bunch of locals dressing up as Santa. They do a pub crawl around Honolulu and give candy and gifts to people on the street. We even got a watermelon from one Santa who was dressed up like Cthulu. If you are looking to plan your own trip to paradise, reach out to us today. Whether you want to visit Oahu, another island, or go island hopping, we are here to help.